Rhino Shield company opened its doors in 2000, but until not long ago it had not received the residential name recognition that it so rightly deserves. This is probably due to the lack of aggressive marketing tactics. The two primary reasons it is rightly classified as a coating rather than a paint are, first, it lasts. Fascia boards, trim, and siding that have been conventional painted must be chipped, re-primed, and repainted on a regularly basis. Typically, depending on where you live and what quality of paint you use, the frequency is anywhere from annually to a five year period. But an application of the Rhino Shield product comes with a generous 25 year warranty. How can any exterior product last so long and protect the home so well? The short answer lies in the makeup of the components. Traditional paints like Glidden are made up to 60% water. On the other hand, Rhino is a low 21% of water. The bottom line is that this leaves more leeway for the more key components. Furthermore, paints use an average of 17% plasticizers, whereas Rhino uses 46% elastomeric resin. Then paint adds 11% of fillers but Rhino mixes in 16% ceramics and mildewcides. Of course, when you prevent mildew, the impact on your health is minimized and maintenance in the form of washing is greatly diminished as well. 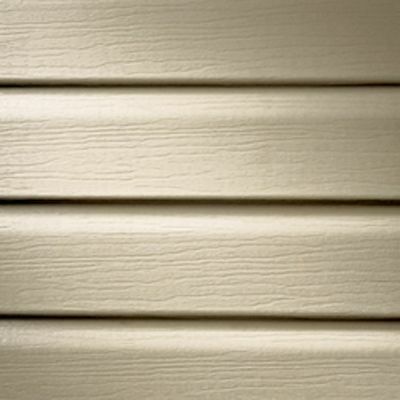 This coating utilizes ceramic microspheres mentioned above. On the other hand, traditional paint utilizes fillers like calcium carbonate. The ceramics go a great extent to diminish thermal heat conductivity through the exterior of the home. Radiant barrier spray paint applied on the underside of the decking in the attic or even on interior walls and ceilings utilize this very same technology. Effectively, it reflects the thermal heat back out, thus imparting an insulating effect. Imagine when the whole exterior of your house is protected; how much reduction on utility bills would you like to see? And these savings occur during both the summer and winter. Why in the winter? Simply because it also reflects the heat from your furnace or pellet stove back into your house. Additionally, since it is an insulator, it also serves to lower noise levels from the outside of your house. It might not be such a large benefit for people that live in rural areas, but if you live in the burbs or in the city, this is a major deal. Green and sustainability are two fancy, trendy buzzwords that we cant get away from today. As you might suspect, any product that wants to prosper will do what they can to make that claim. Why is it green? If you Never Paint Again, you are not going to be supporting the manufacturing and transport costs of many gallons of traditional paint every few years. Additionally, this product is low-VOC (Volatile Organic Compounds.) This has been trending to be a must-have attribute in the building matereials world. These energy-saving qualities will certainly lower the carbon footprint you leave on the environment. Also, this coating has a Class A Fire Rating. This means that it is inflammable. Anyone who lives in a wildfire-prone region like California and Colorado will understand how important this is. But Rhino Shield will benefit all homeowners in one way or the other.